Three Graces. Wikipedia: In Greek mythology, a Charis (Χάρις) is one of several Charites (Χάριτες; Greek: "Graces"), goddesses of charm, beauty, nature, human creativity and fertility. 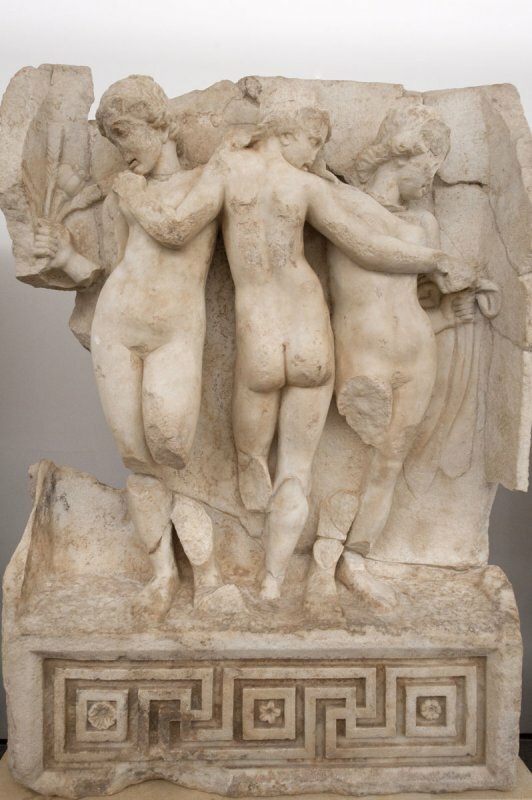 They ordinarily numbered three, from youngest to oldest: Aglaea ("Splendor"), Euphrosyne ("Mirth"), and Thalia ("Good Cheer"). In Roman mythology they were known as the Gratiae, the "Graces". In some cases Charis was one of the Graces and was not the plural form of their name.